November 5, 2012 November 6, 2012 kevans911Leave a Comment on Did we miss the sign? Did we miss the sign? Early morning rides with just my tunes from my iphone strapped to the bike, ah, sweet freedom! I had to wait for dawn, not feeling safe or stable in the dark on just two, narrow wheels. The darkness does that to us doesn’t it? It’s a place that causes us to lose balance. We start to question every move, meeting it with a fearful frame of mind. Though if I am true to myself, I recognize it’s not just the darkness that causes instability. Even in the light of day, I miss the obvious. 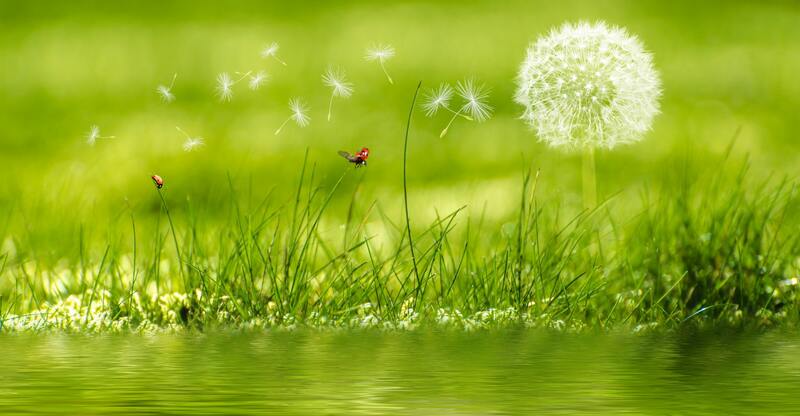 My focus causes the faltering. I have ridden this path, run this path, traveled this path so many times that I am familiar with every crack along the trail. 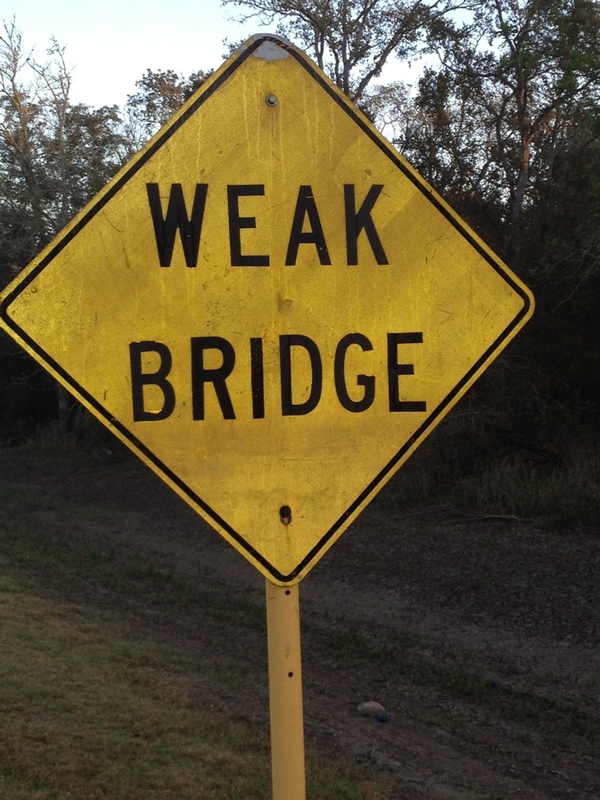 But, did I ever see this sign “WEAK BRIDGE”? How many times did I go right past, without so much as a passing glance? Was I always looking down? Just observing cracks? If I don’t take notice of the signs, what am I missing in this journey? Could my “weak bridge” be faulty focus? Is my view askew? When I remember to look up, give up staring at cracks, it’s amazing the sense of balance that comes with right focus on Him. I have ridden this path, run this path, traveled this path so many times that I am familiar with every crack along the trail. But, today is a new day, and I am in search of the strong bridge. The bridge that allows me to be connected to Him. The bridge that spans the great divide between us. He built it out of the strongest material known to humankind, love. I’m focused on the trail that leads me there. Ah, sweet freedom is in the crossing. Next What’s courage look like?